Before an auto accident settlement, it is important to know exactly what your economic damages are. In most cases, we recommend that you do not settle your case until you are finished with medical treatment. This is because if you settle your case before you finish, then it can be difficult to know, and to prove, what future medical problems (and costs) you might have. So if you settle, you won’t get the chance to go back for more money if your condition worsens, if you need surgery, or you need more time in therapy. The exception is when you have reached maximum medical improvement. If your doctors tell you that you are as good as you are going to get, then you can settle your case. Ideally, your doctors can testify about the type of medical care that you will need in the future, whether it be a future surgery, the cost of regular pain management, or adaptive devices (like crutches or wheelchairs) which may need to be replaced over time. 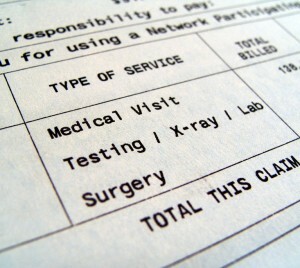 To figure out your medical expenses is usually a simple matter of contacting your medical providers and getting copies of all of your bills. If you have a lawyer, they will take care of this for you. Proving lost wages can be slightly more complicated. If you are proving lost wages, you can use paystubs, a signed letter from your employer stating your hourly wage or annual salary and the number of hours you missed. If you were self-employed, tax returns can also help to show your average income, which can be used to calculate how much money you lost. Importantly, disability slips from your doctor (stating the time you should be off of work because of your injury) will help to prove your wages. Future lost wages, because of a permanent injury, can be proved in the same way. Property damages can include any number of things. Your cell phone or glasses might be destroyed in an automobile collision. If your car is damaged or totaled, you can include the repair cost or fair market value in your auto accident lawsuit. However, if those costs were reimbursed by your auto insurer (through your collision policy), you may be able to recover the cost of your deductible. If your injury caused difficulties in managing your life, you might need to hire others for lawn care, grocery delivery, or other services that you would normally take care of own your own. Those costs are compensable in your auto accident case. One frequently missed item of economic damages is the cost of mileage and parking. If your accident necessitated medical care, like physical therapy, the cost of mileage to and from your appointments is compensable, as is any parking costs. Keep good track, and provide that information to your lawyer. Even small amounts add up, and can increase the value of your settlement. These are the most common types of economic damages. In most cases, the higher your economic damages, the higher your settlement offers. It’s important to be honest, though–don’t overtreat with your doctors just to increase your medical expenses. Those ruses are typically transparent, and a judge or jury will penalize you for it.